Many avid smokers will speculate about the best form of lighting the sticky green. Is it better to use the always more organic option of hemp wick as compared to the more industrial butane lighter? But whether we are attracted to the all natural, the fear of ingesting toxic materials, or just the novelty of using hemp related products, one must question: what are the real differences between these two lighting processes, and are there any actual benefits or dangers to using one or the other? Your average cigarette lighter uses butane, a natural gas which is clear, odorless, and highly flammable. In order to be properly utilized in every day equipment, the naturally formed butane must go through a process of refinement which involves removing remnants of crude oil, separation from water, and ultimately dehydration of the wet gas to produce the refined gas that we all know and use. 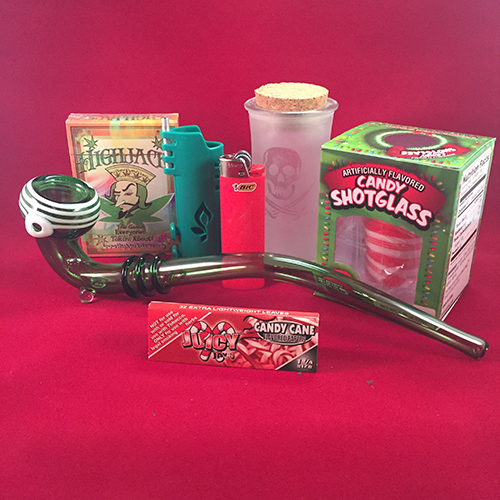 The refined butane is stored within a small pressurized chamber which allows for a narrow stream of gas to form upon release. With the combined pressure of flint, usually made of Ferrocerium, and steel rubbing together, a spark forms to ignite the fuel which creates the flame we use to light our joints and bowls. 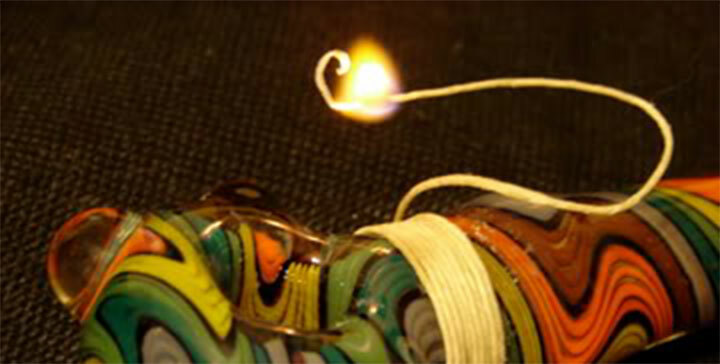 Hemp Wick is very simply hemp fibers which are usually dipped in bee’s wax. When lit, the wax evaporates, acting as a sort of fuel to create a more stable and controlled burning, which ultimately allows for a slower flame that burns at a lower temperate. What could be simpler? Assuming that the Butane in your lighter is properly refined, the byproducts of this type of combustion are Carbon Dioxide and water vapor; both entirely harmless when ingested. But, due to the metallic oxides in the Ferrocerium flint, if it were to break and create a dust, or become lit, ingesting the fumes would be hazardous to your health. In addition, the flame burns at a much higher temperature due to the chemical nature of the fuel being used, which potentially burns off more Cannabinoids in your product and could result in a dampened high. The lighter in and of itself though is a quick and efficient device for creating a flame, allowing for a faster or more convenient use, especially in groups. Because Hemp Wick burns at a lower temperature, this technically means that less Cannabinoids will be wasted by extreme heat, and instead ingested for a fuller high. As well, because the products involved in combustion are simply hemp and wax, the only potential fumes of ingestion are very trace amounts of hemp which create no health risk. Some people even swear that the taste is better too, but you’ll have to try it for yourself to decide! 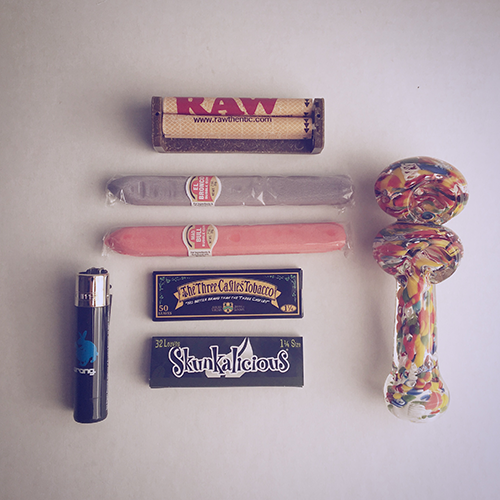 In addition to the benefits listed above, it’s easier to corner a bowl with hemp wick than it is with a butane lighter – and we all like to smoke green, so cornering your bowl is the way to go, even when smoking alone. I recently purchased a plasma lighter, and I’m having great success with it; it produces a smaller “flame” (the arcs) than a butane lighter, so I can corner my bowls with it the same as with hemp wick.